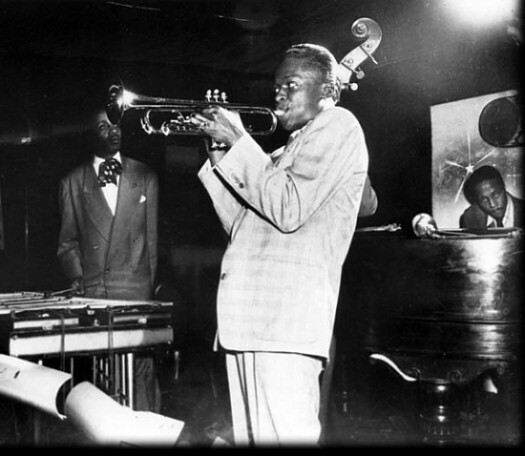 Milt Jackson, Miles Davis, and Bud Powell, mid 1950s. These are excerpts of approximately 1 minute of music from the beginning of each recording. Most of these selections can be found as CD reissues but some, such as the ones with no label indicated, may be difficult to find. See the online Bud Powell discography http://www.jazzdisco.org/bud-powell/discography/ to determine the history and possible availability of some of the more obscure recordings.